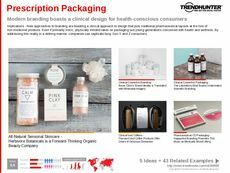 Find Better Ideas, Faster ® with a custom youth packaging trend report, our PRO Dashboard and 80+ categories of premium trend reports. 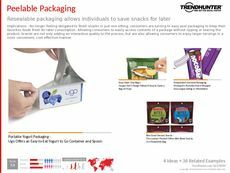 The Youth Packaging Trend Report is a comprehensive look at new product packaging approaches that appeal to youthful consumers. 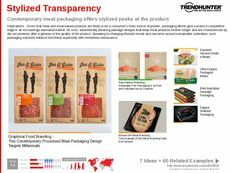 We sift through countless trends to present readers with the most innovative examples of effective youth-oriented packaging designs. 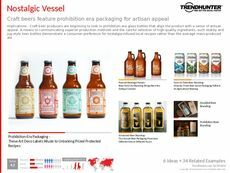 Thanks to our data-driven findings, our research will also show how youthful preferences are set to shift over time. 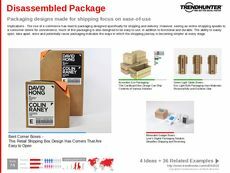 Use our crowdsourced research methods to gain a complete grasp of the many modern packaging techniques trending with youthful consumers today. 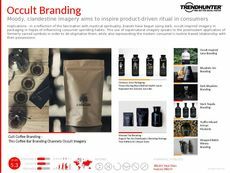 Acquire enhanced brainstorming ability for both you and your professional team thanks to Trend Hunter's expert commentary on the latest surging trends. 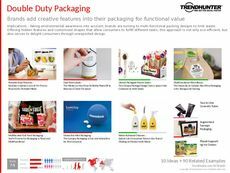 Showcasing the latest packaging trends by numerous industry innovators, the Youth Packaging Trend Report is a professional tool that will streamline your packaging strategy.